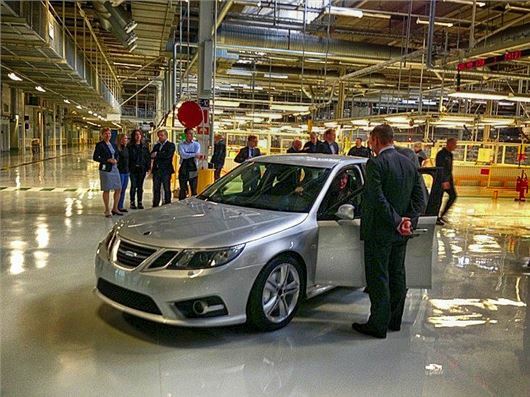 Saabs United has reported that new car assembly at Saab in Sweden has taken a step closer with the news that pre-production of 9-3 has begun. The company, now owned by National Electric Vehicles Sweden (NEVS) has confirmed that the first car since the company was declared bankupt in 2011, has rolled off the line in Trollhattan. The car, which is the first 9-3 to be built at the factory after a hiatus of more than years is a pre-production model to calibrate the factory's assembly line. Visually, it's identical to the old model, and this first batch won't besold to the public, but the promised facelift will follow in due course, once production capapability is back up to speed. The post-Spyker and GM Saab 9-3 will be powered by an as-yet unnamed four-cylinder petrol power unit, and will spearhead the company's relaunch over the next couple of years. NEVS won't be drawn on whether the convertible and estate models will go back into production, although it's a good bet that they will, especially considering the latter's popularity.